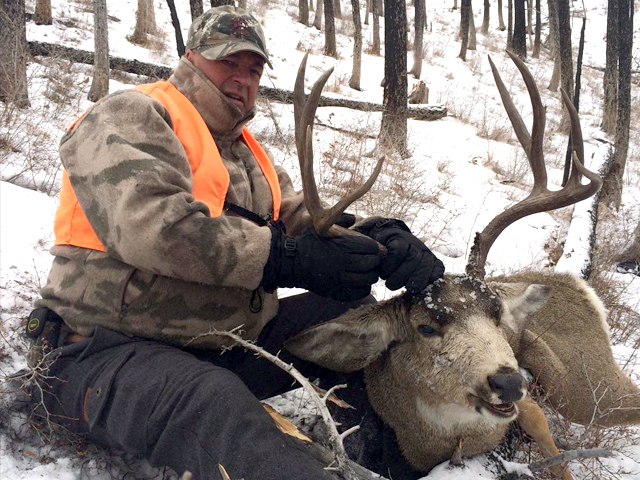 Trophy Mule Deer in Montana! 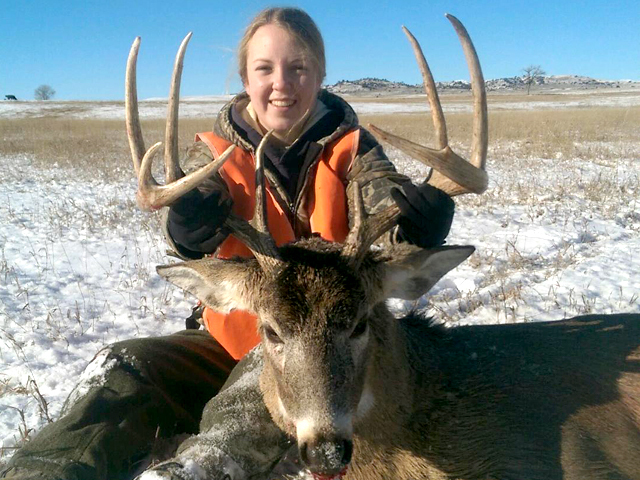 While elk are the primary focus in our Scapegoat camp, we also have some trophy-level Montana Mule Deer that can be taken for those with a Combination Big Game license. 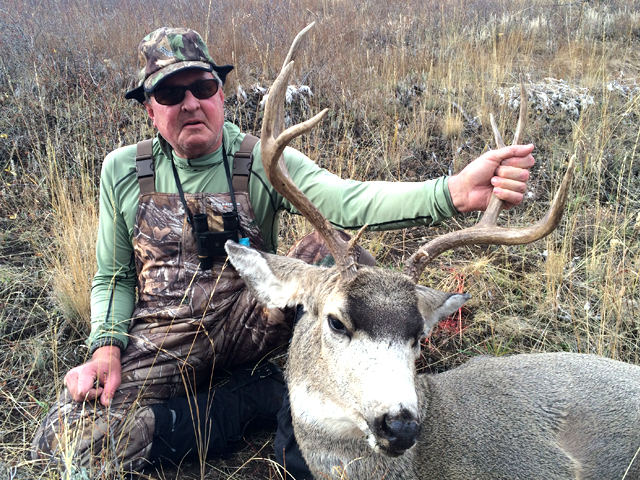 The increased forage has accounted for an increase in the overall mule deer population and the bucks we are harvesting have exceptional mass. The spotting scope is our best tool during this hunt, because if we can spot them, we will be on them. 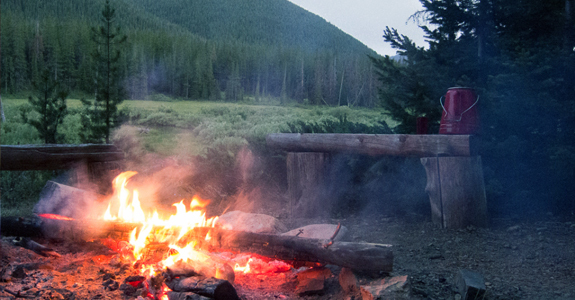 Days start early in hunting camp, with an early horseback ride out after a hearty family-style breakfast, putting hunters in a prime hunting area before dawn. Elk hunting days are generally spent on foot, ending up back at camp or at the pickup point where the horses are waiting to carry hunters back to camp. For those who prefer a more relaxed hunt, a short hike from camp is available and can also be productive. Guests will enjoy a large, wholesome family-style dinner and the opportunity to trade stories about the one you bagged (or the one that got away). The accommodations in the K Lazy 3 hunting camps consist of an 18×24 cook tent, 14×17 sleeping tents (each holds up to 4), a shower tent, and a tack/equipment tent. Each sleeping tent holds cots and foam pads, a wood stove, plenty of room for personal gear, and is comfortable and prepared for all types of weather. Meals are prepared by a fulltime cook and served family-style in the cook tent for breakfast and dinner, with daily sack lunches provided for each hunter. 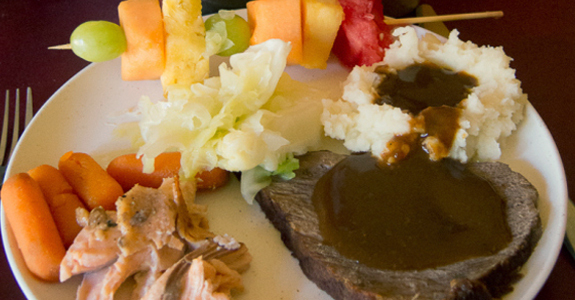 Guests will enjoy nourishing meals of roasts, ham, turkey, steaks and plenty of fresh baked goodies. 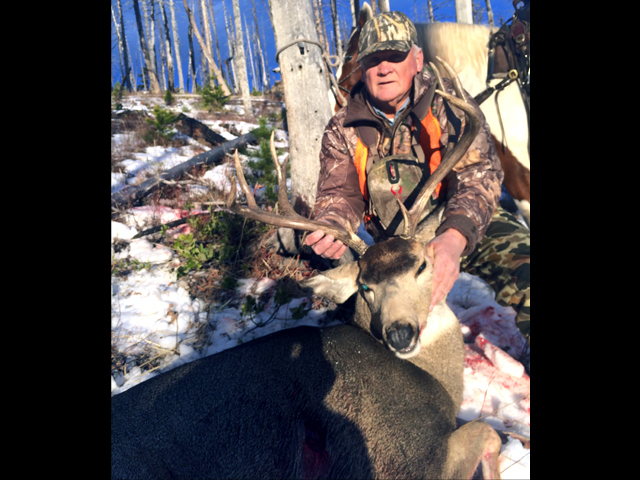 K Lazy 3 sincerely cares about our guests’ Montana big game hunts and works hard to ensure our guests are completely satisfied. 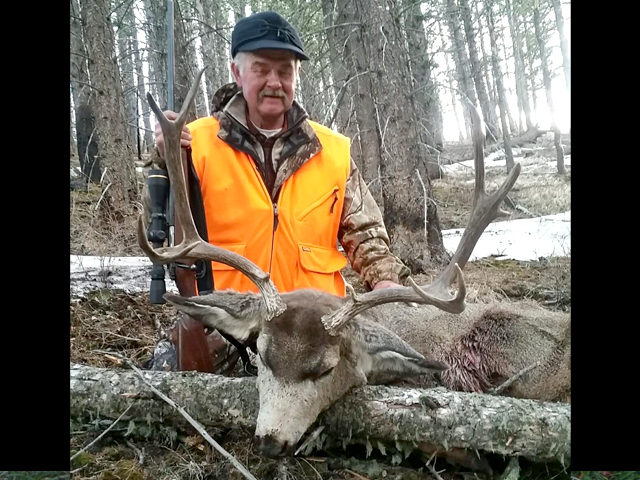 While weather conditions can never be guaranteed, K Lazy 3 does promise to provide the best available guides and cooks, excellent equipment and horses, and the personal touch of owner Kenny Low, a traditional, native Montana cowboy for your big game hunt. 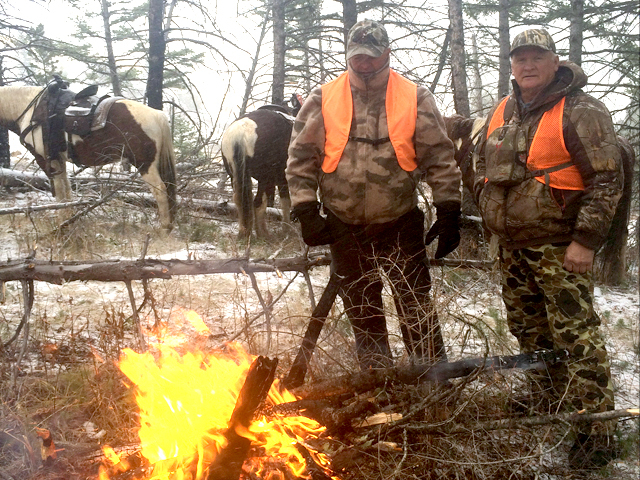 The outfitters at K Lazy 3 will ride from daylight to dark to help guests secure their game and ensure the best possibility of a successful and enjoyable hunt. Come to the K Lazy 3, knowing that you can anticipate an unforgettable experience, making new friends, seeing some spectacular country, and ride through some true wilderness big game hunting. In the end, it’s the hunt and the camaraderie of the K Lazy 3 you will remember long after the kill. 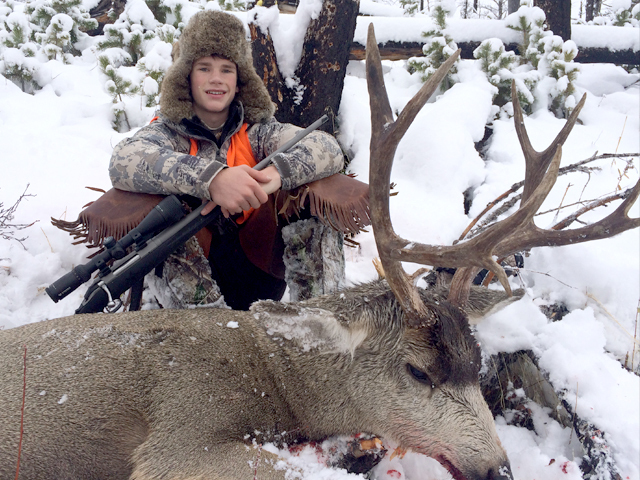 Ready to join us for an unforgettable Montana Wilderness Hunt? Call Kenny at 406.939.2546, email Kenny@KLazy3.com, or Book Now! Medical emergencies happen. When they do, we rely on Global Rescue, the world's leading membership organization providing integrated medical, security, travel risk and crisis response services to travelers worldwide. 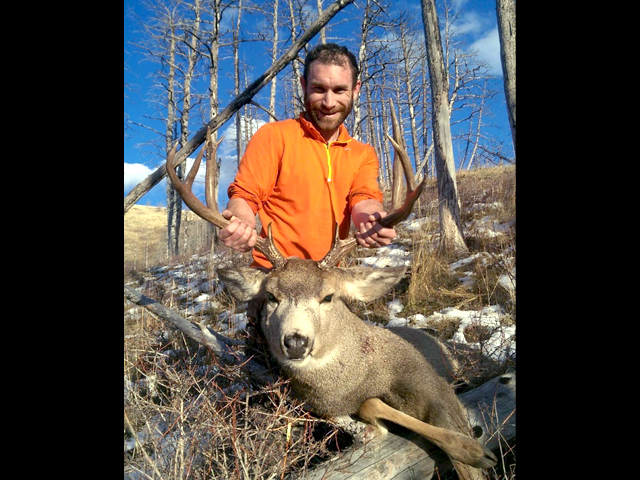 Operating under the permit with the Helena National Forest of Montana license #30503 Kenny Low.